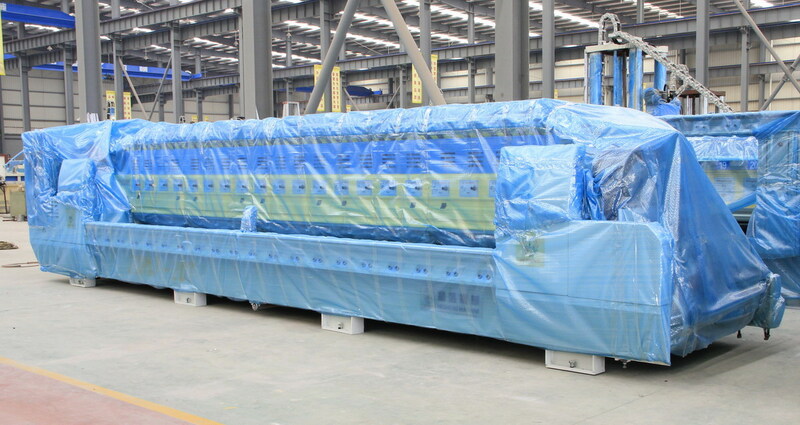 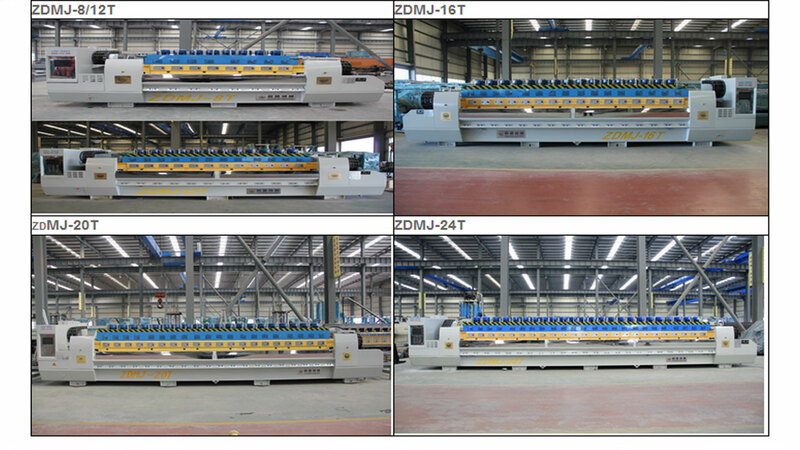 Remark : We also make Marble Polish Machine in the same specifications. 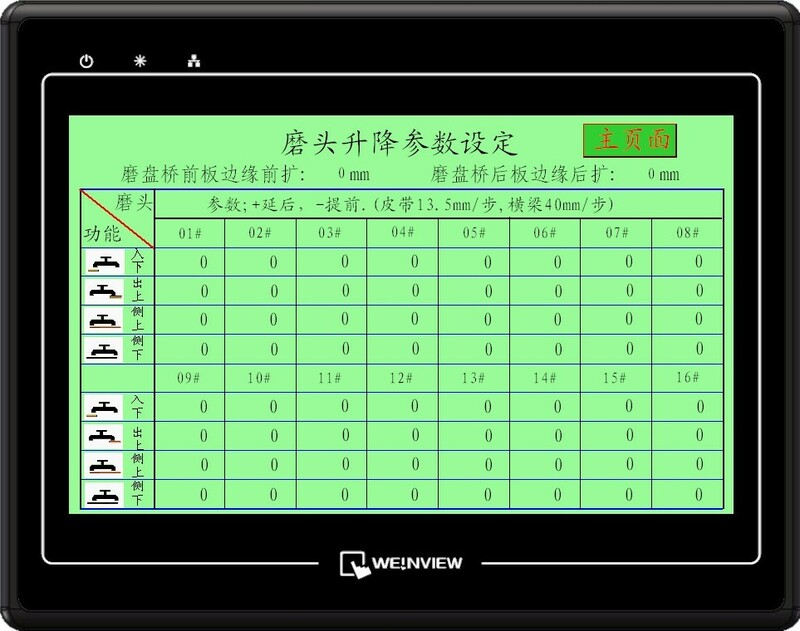 Other PDF Downloads : Click HERE. 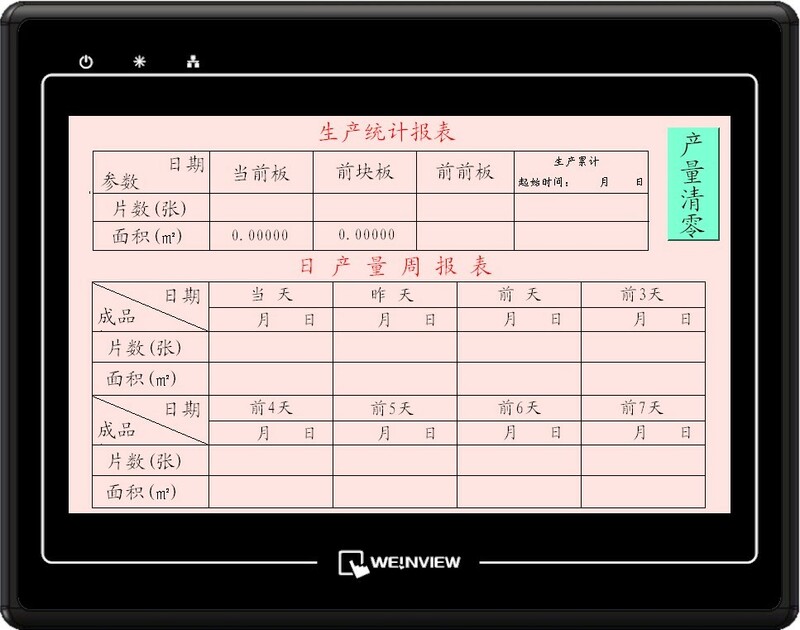 The control system ofIn combination with the domestic market demands, this machine adopts the design scheme of the foreign party and automatic system, which is featured as reliable performance, high yield and lower maintenance. 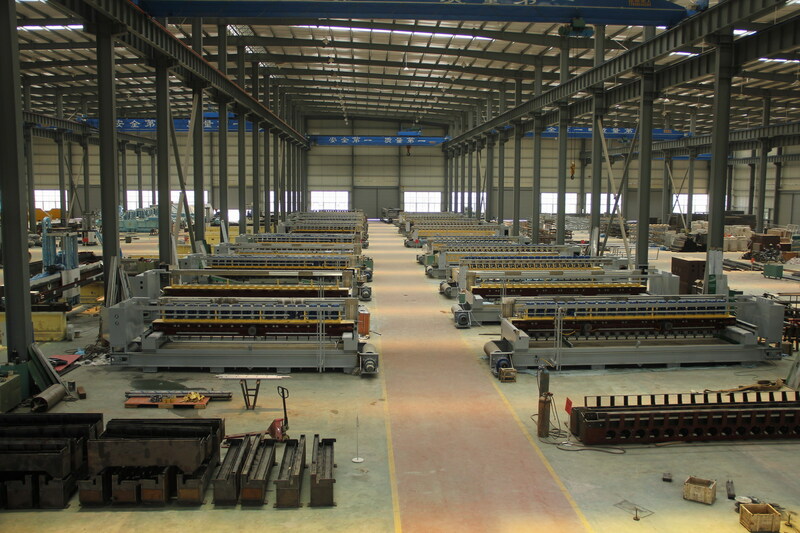 The machine is made by standard castings and steel, branded electrical equipment made in German, Japan and Taiwan, as well as branded bearing, motor and gear reducer. 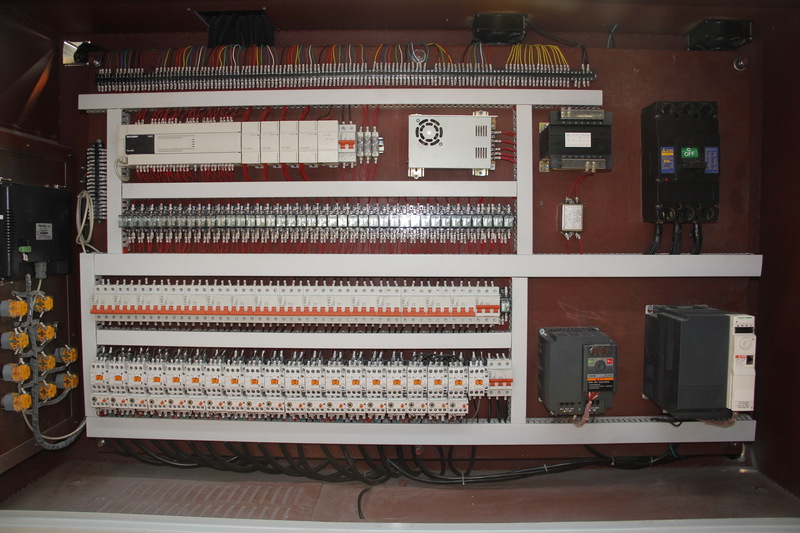 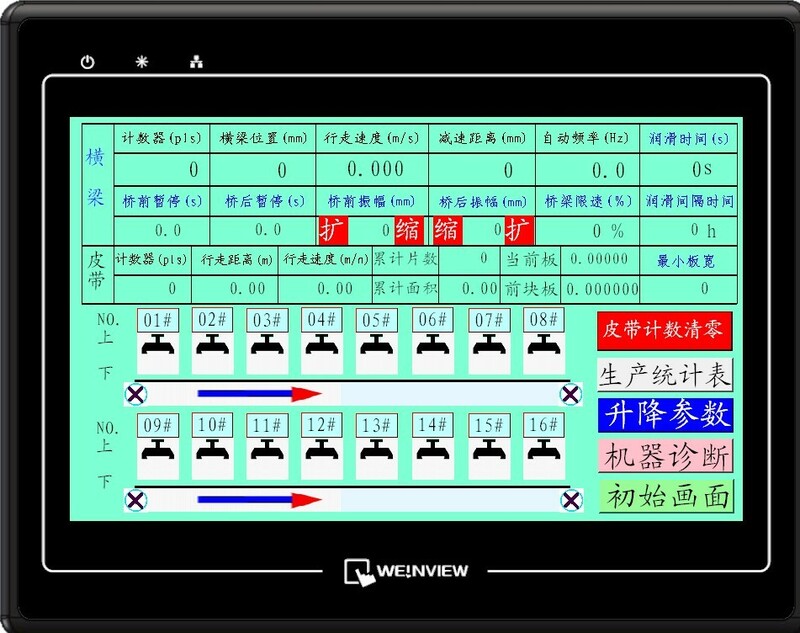 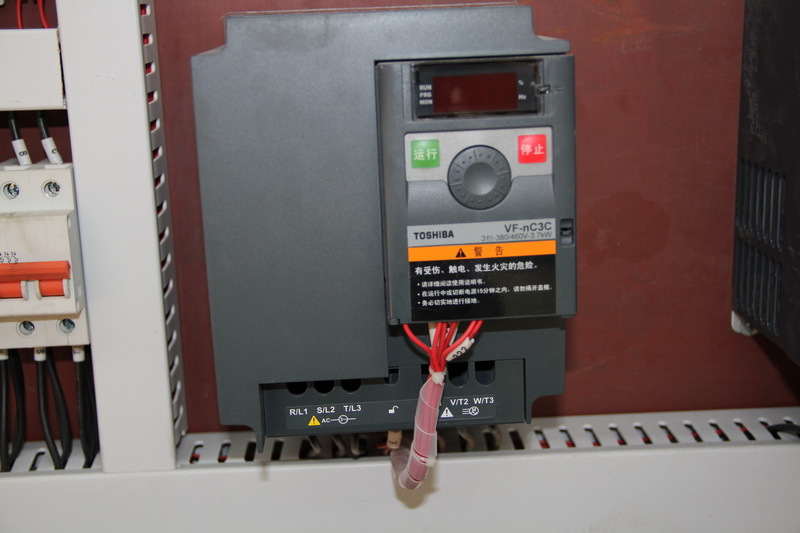 The control system of this machine adopts PLC terminal control with LCD touch screen terminal as HMI for parameter setting and fault prompts during operation, etc. 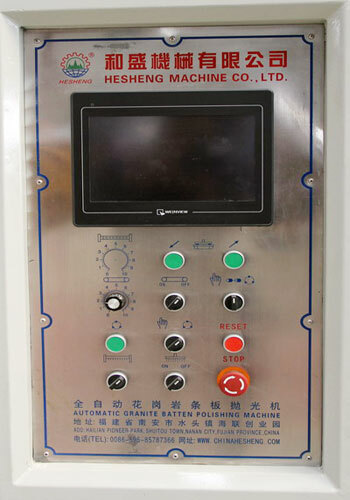 It is applicable to continuous grounding and polishing granite tile. 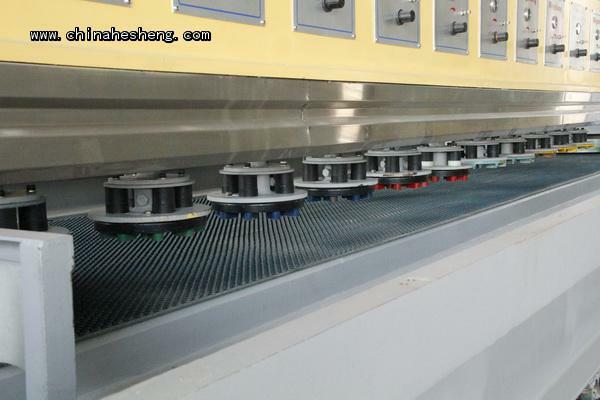 Operating speeds of plate conveying and crossbeam of polishing disc are controlled by frequency converter; working pressure and the polishing width of tileplate are adjustable within the setting values. 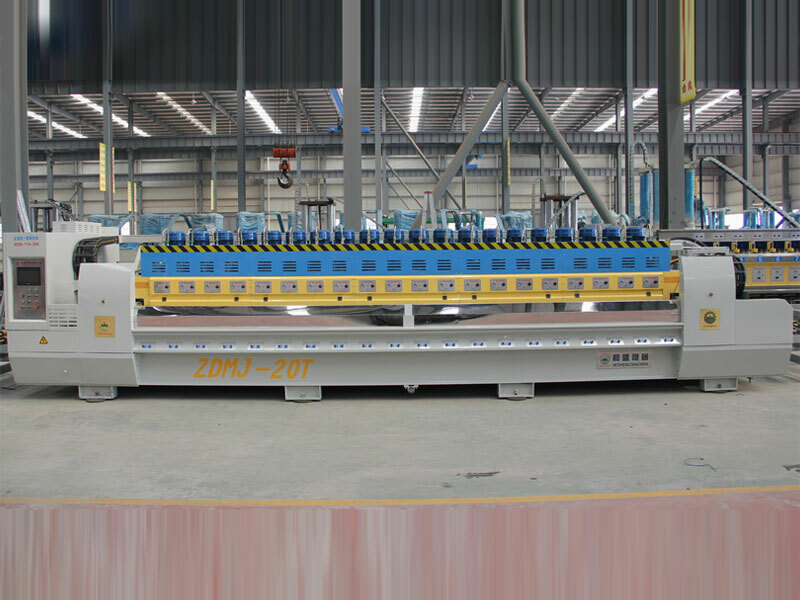 This machine can also automatically identify the shape of tileplate, so that each polishing disc (polishing head) could automatically lift and lower according to the identified shape of tileplate, and conduct tracking records for tileplate polishing at the same time. 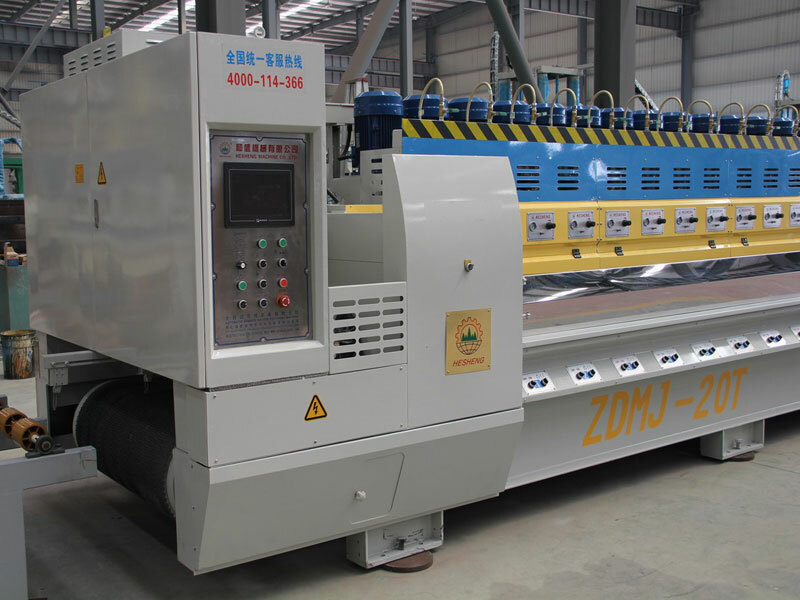 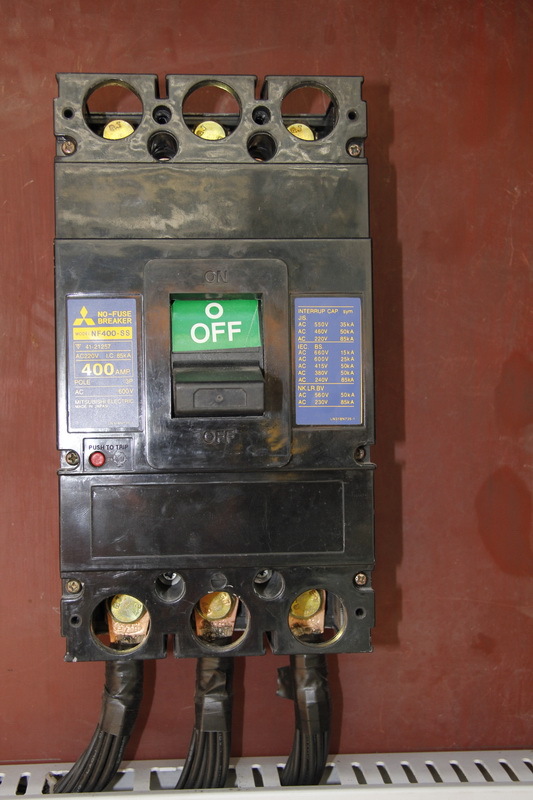 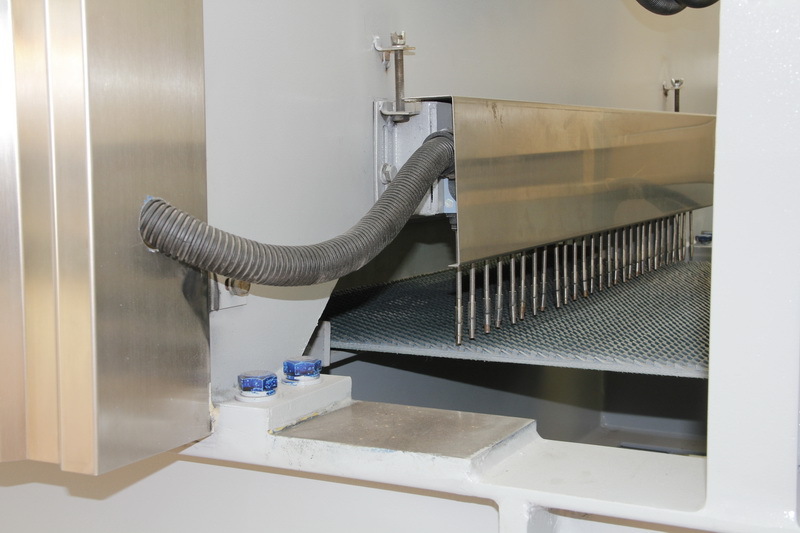 The overall machine is produced according the standard requirements with performance up to the leading domestic level. 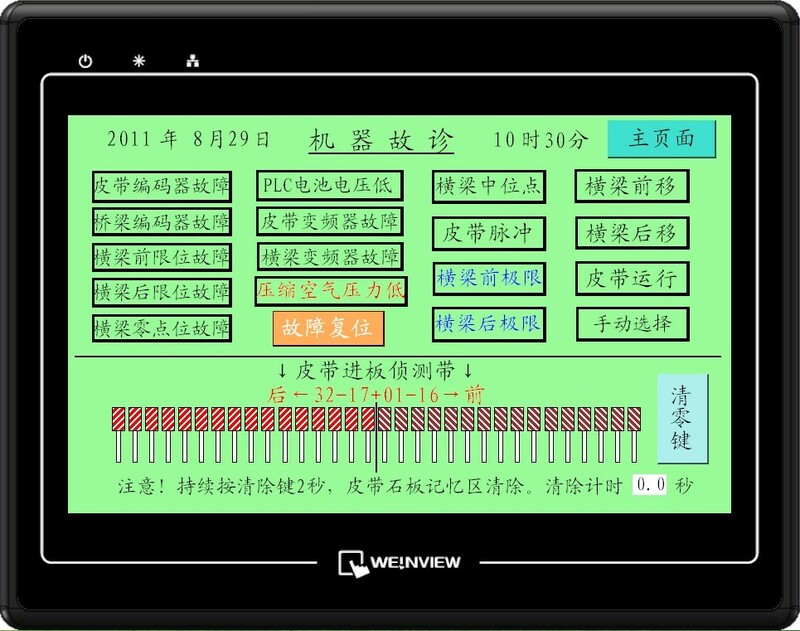 2: Computer (micro-processor) is selected the imported Mitsubishi products from Japan with the best stability and lowest failure rate among the same products. 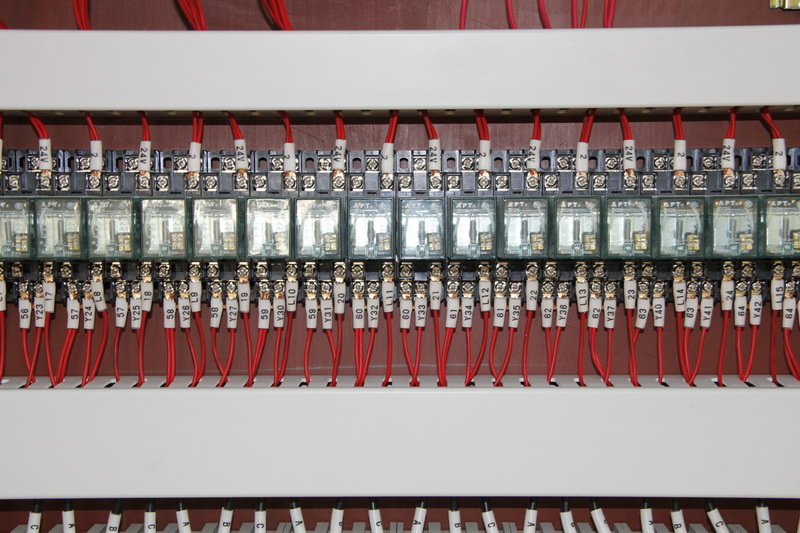 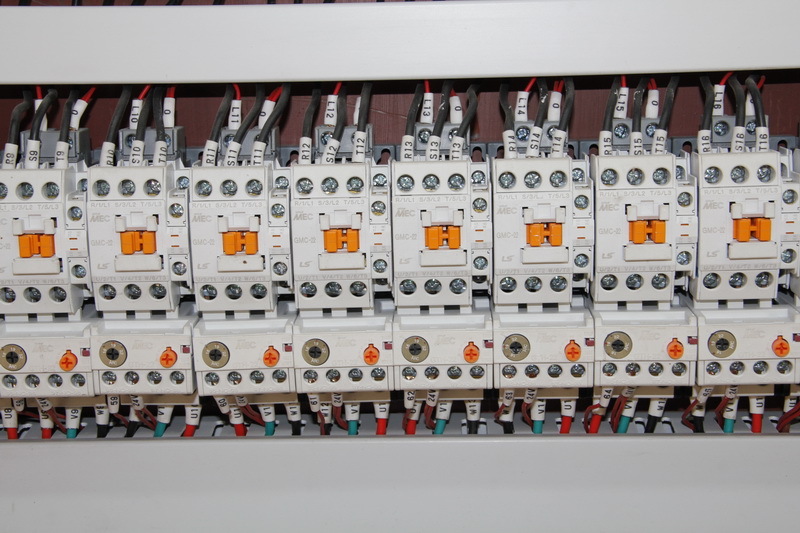 The frequency converter adopts product made by Schneider Electric which is a manufacturer specialized in frequency converter recognized all over world. 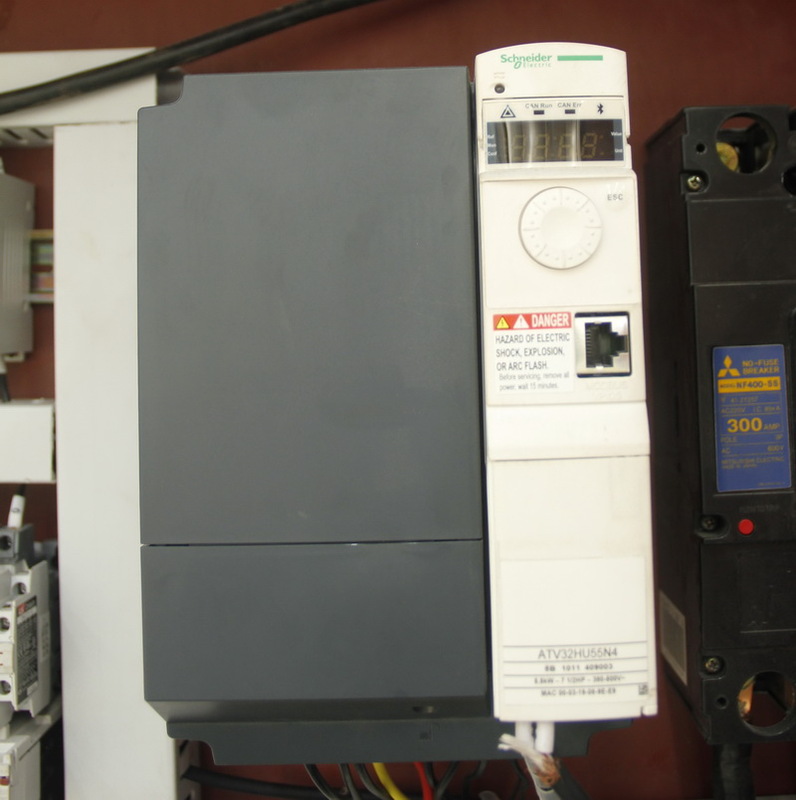 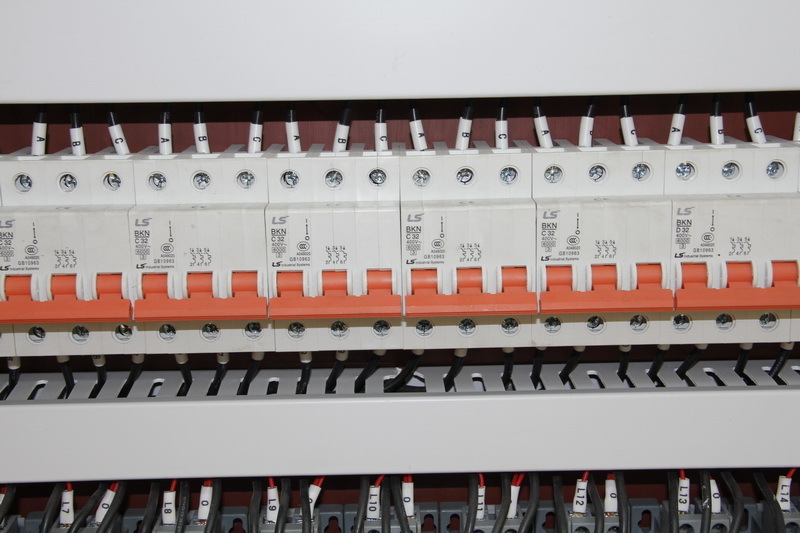 Relay is from Siemens and intermediate relay from LG appliance. 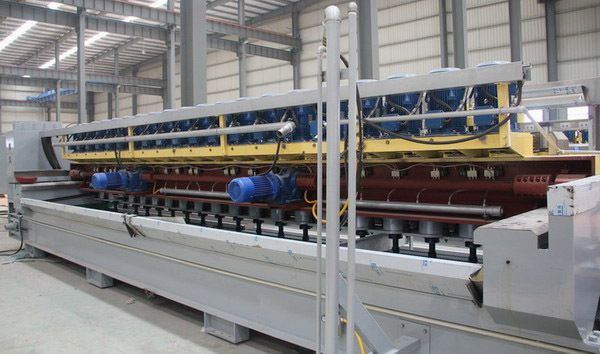 1： The polishing head with new structure could adjust rubber elasticity of each polishing head according to the different grinding materials, so the fineness and flatness of tileplate produced under the same conditions will be increased over 10%. 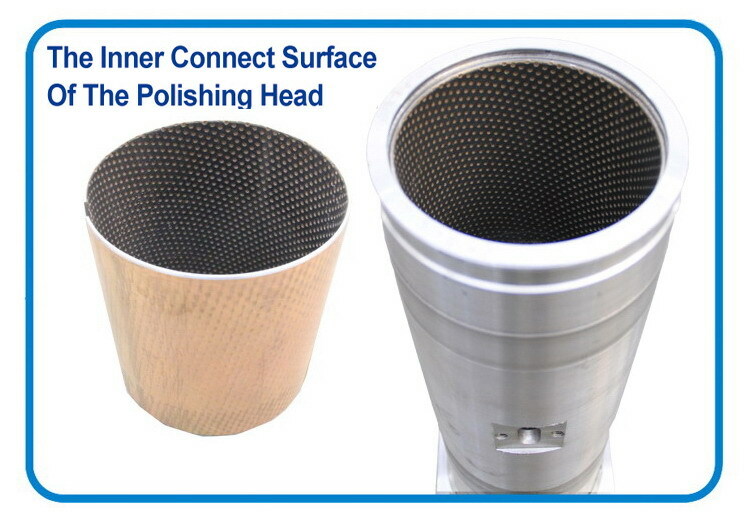 The design of the polishing head could also avoid damaging the polished materials to maximum limit. 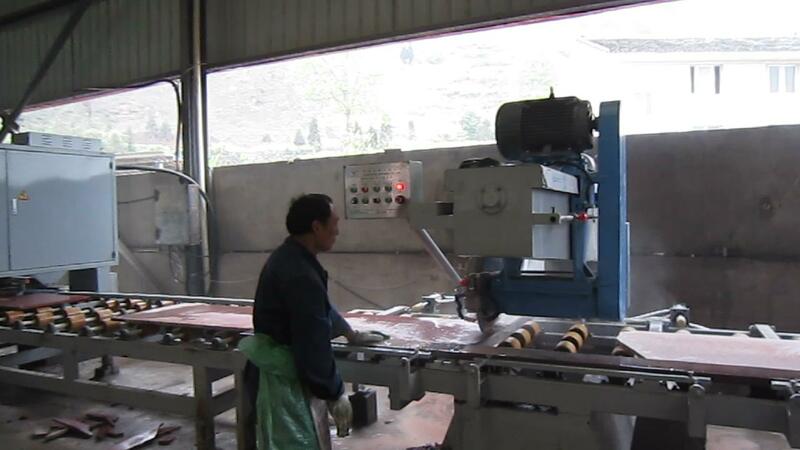 1.polishing the more thinner slab. 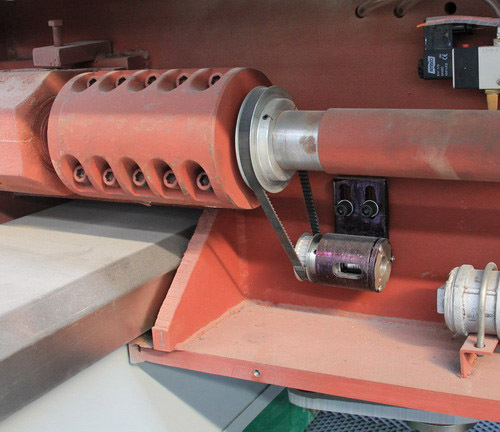 4.redcing the abrasive consumption etc. 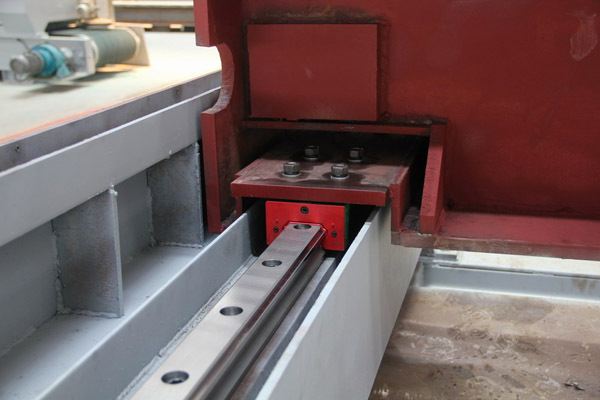 4: The linear guide (imported from Taiwan) is adopted as for side beam traveling, so the crossbeam is stable without vibration and jacking-up during traveling. 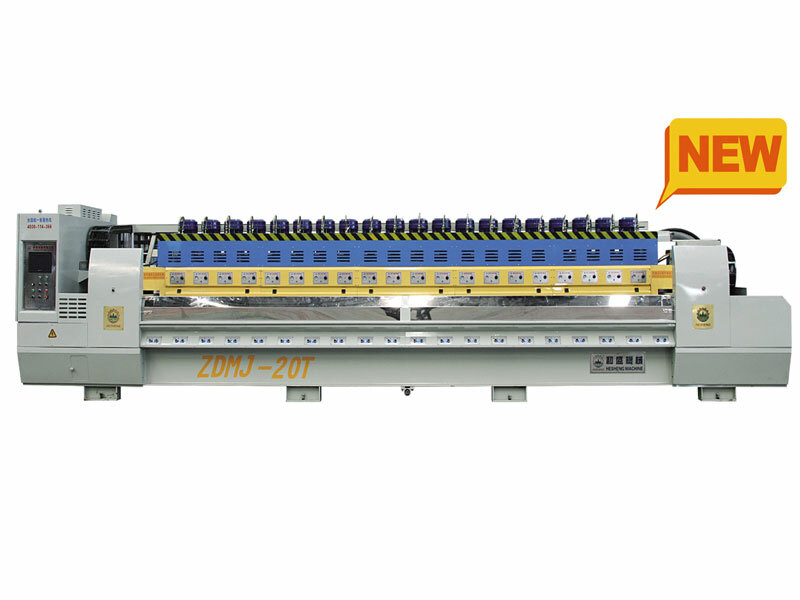 5: The rear of 20 (24) heads adopts cascade mechanism of double gear reducer promising powerful driving and long service life. 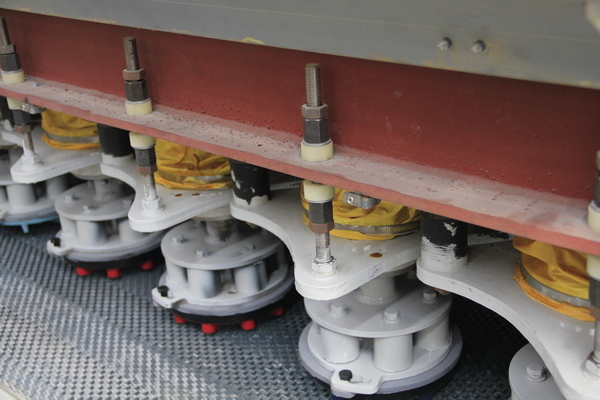 6： The rear of 12 (16) heads adopts a mechanism of single gear reducer. 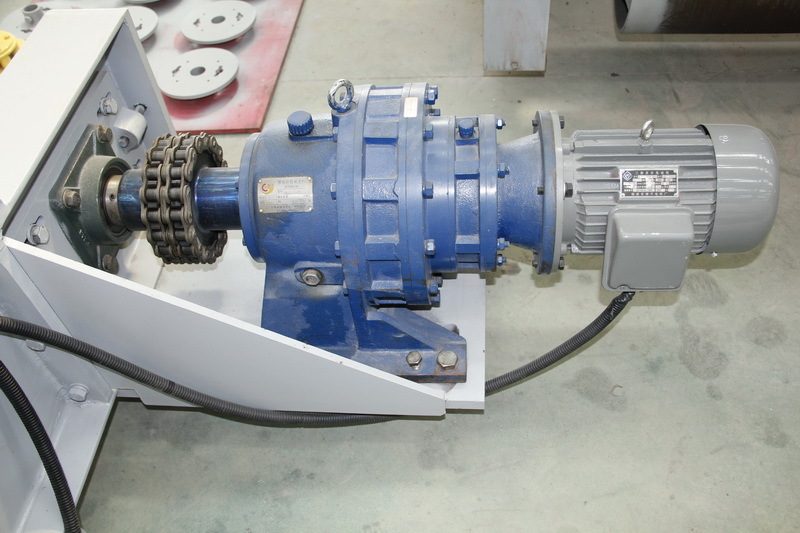 7： Gear reducer is connected with idler wheel by chain so as to reduce possibility of shaft broken. 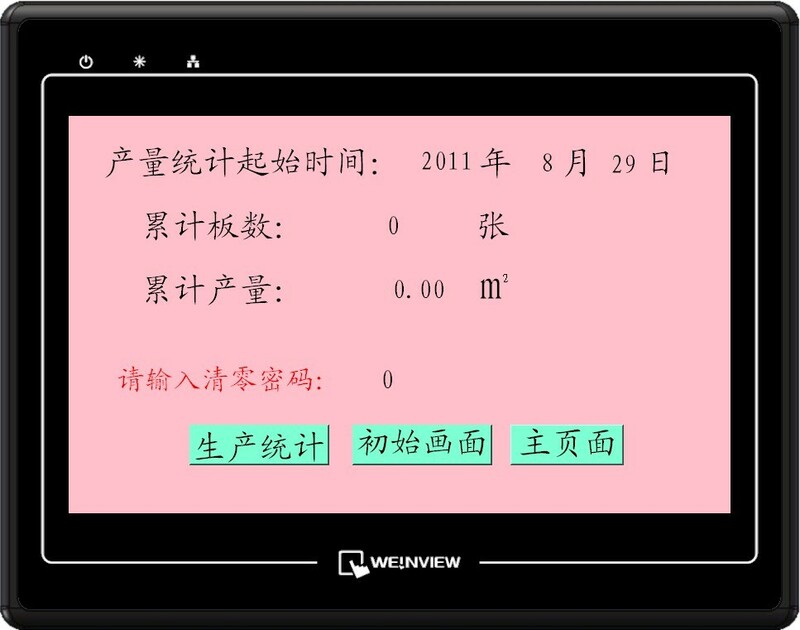 8： The rotary encoder for side beam traveling adopts synchronous belt drive with features of stable signal and convenient maintenance, etc. 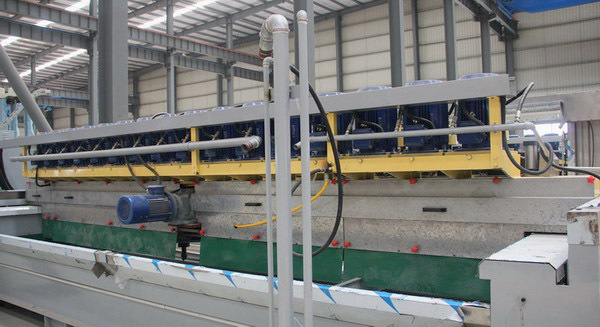 9： Primer adopts epoxy aluminum primer for good antirust performance and long service life. 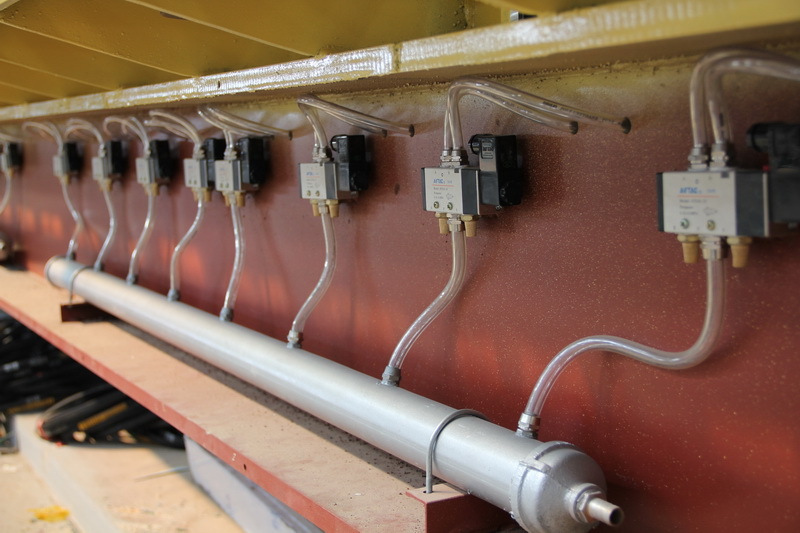 10： Pneumatic components (including cylinder, air valve and regulating switch) adopt Taiwan "AirTAC" products with stable quality and lower fault rate. 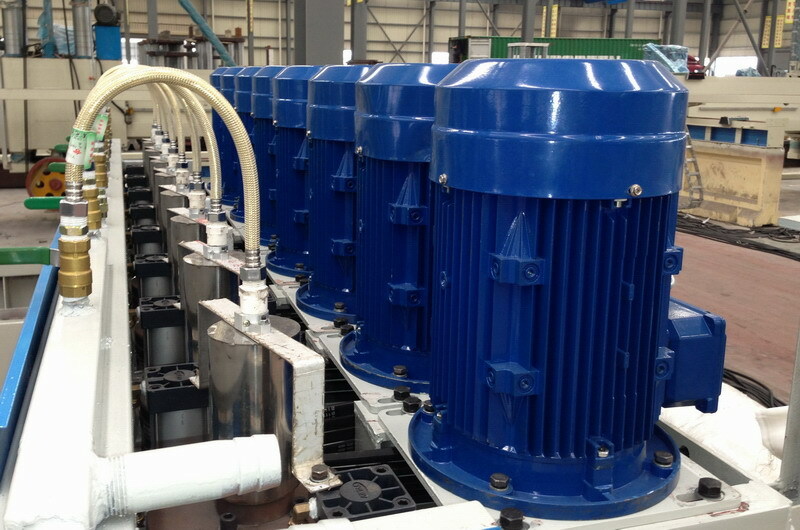 11： Main motor is made according the old standard for powerful drive. 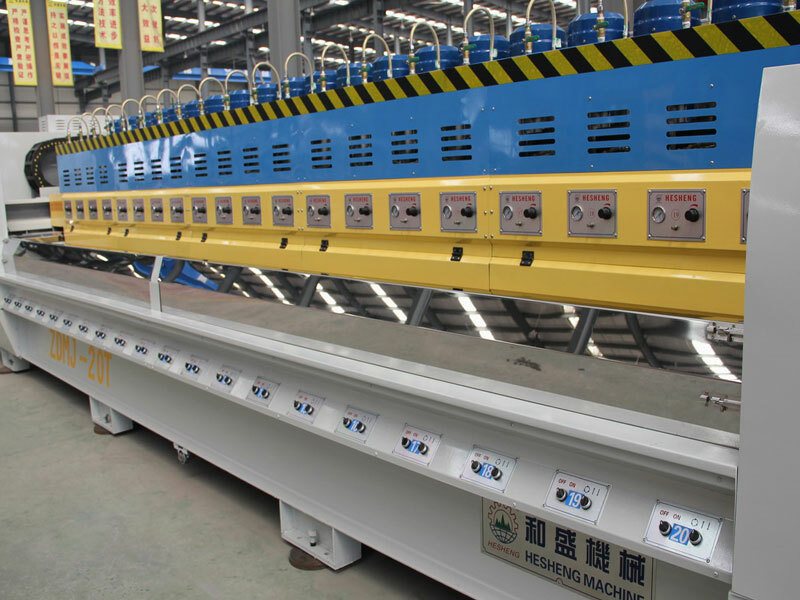 Aluminum casing could lower total weight of crossbeam, and be featured as light and quick during swing which is helpful to increase yield. 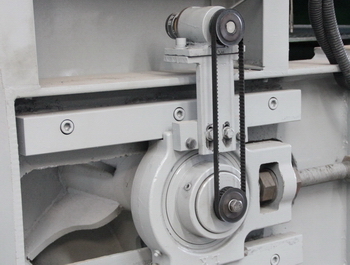 12: Gear reducer is connected with idler wheel by chain so as to reduce possibility of shaft broken. 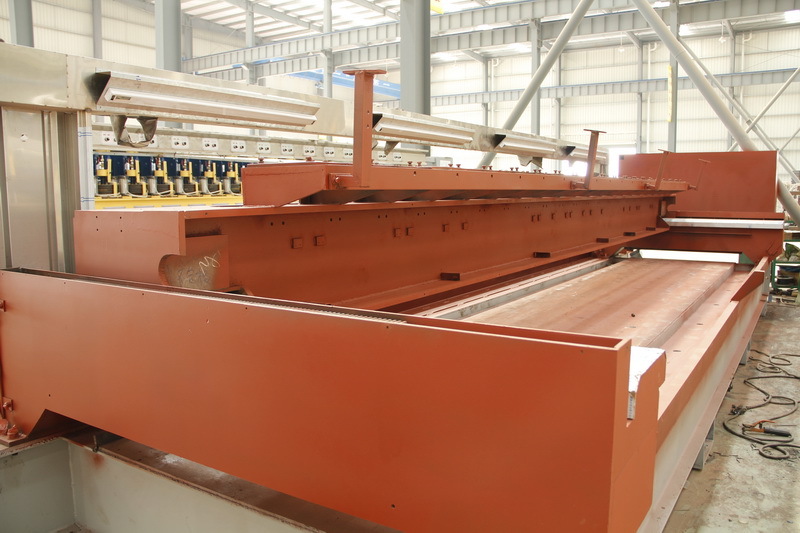 13: Inductor for tileplate feeding could regulate according the different thickness of tileplate. 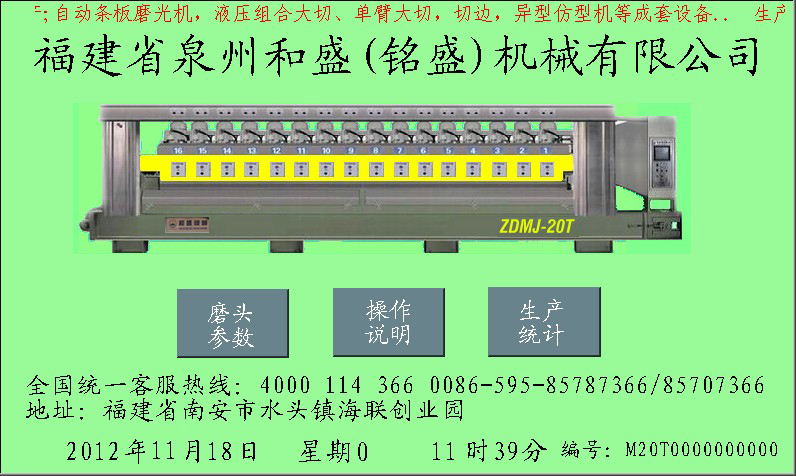 Copyrights @ Kamhan Industrial Ltd.